We Buy Houses in New Orleans, Louisiana! Homeowners in New Orleans, Louisiana, understand that if you want to sell your home, you have options. It is a decided misconception that you can only sell a home by putting it on the New Orleans real estate market. Nothing could be further from the truth. While that could perhaps be considered the most popular way to sell a home in New Orleans, the truth of the matter is that you don’t have to go this way. In fact, for one reason or another, selling your property on the traditional real estate market could prove to be a dismal idea. This is particularly true in the context of needing to sell a home quickly. There are several different reasons as to why someone may need to get their home sold as quickly as possible. While the real estate market isn’t an inherently terrible concept, it isn’t for everyone. If time is of the essence, the real estate market can be supremely counterproductive to what you are trying to do. We are talking about a process that could take months, or even years. What are the alternatives? It’s simple. The more you learn about the national, highly-respected Dependable Homebuyers, the more excited you are likely going to be. This could be the fast path to selling your home that you’ve been looking for. The main problem with selling your home the old-fashioned way? It’s not a process that’s kind to anyone experiencing a time crunch. Selling a home in New Orleans can take months. You need to make the home presentable, which can involve costly repairs. You have to hire a realtor. You have to get the home listed on various websites. Then you have the inspections and appraisals. You also have to go through the arduous process of showing the home to different potential buyers. Then comes the negotiation process. The worst part about all of this? You can make it all the way to that negotiation process, only to have the whole thing fall apart, if the buyer walks away from the offer. That sets you firmly back to square one. If you need to sell your home quickly, you could find yourself facing a serious financial crisis. Dependable Homebuyers will buy your home “as is” without the added expense of repairs or renovations. Not only are we prepared to buy your home in ANY CONDITION, but we are also prepared to make a generous CASH offer. You are under no requirement to accept this offer. If you do, we can promise you the CASH you require in as few as seven days! Can it really be that simple? You bet! Although Dependable Homebuyers is a national company, we nonetheless have a considerable degree of experience with the homes in New Orleans. This remarkable city of nearly 400,000 offers a diverse metropolis that is rich in culture and history. New Orleans is home to an incredible range of homes. Simply put, regardless of what you might be looking for in a home, New Orleans will almost definitely have something to impress you. You already know how beautiful the city is. 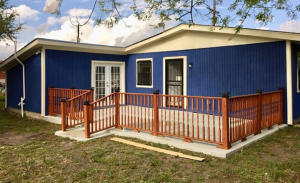 We are simply pointing out that our experience with buying homes in New Orleans is such that we have purchased properties in every imaginable style and condition. If your home is in stellar condition, that’s fantastic. If your home is in desperate need of expensive repair work, that’s fine, too. We know the home buying business inside and out, but we aren’t particularly fussy about the homes themselves. Even if a home is in poor condition, we will take on the challenge of renovating it. That might just be our favorite part of this whole process. 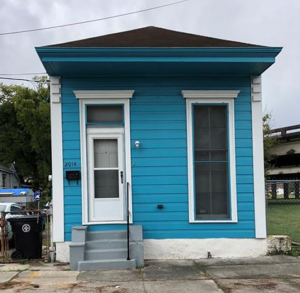 The Best Way To Sell A Home In New Orleans? There are so many different reasons as to why someone would want to sell their home in New Orleans. What you want to understand is that Dependable Homebuyers has worked with individuals from all walks of life, wanting to sell their home for one reason or another. More often than not, it is best that this whole process happens at a fairly speedy pace. You may need to move somewhere in the near future for a new job. You may find yourself dealing with a considerable financial crunch. It is also well within the realm of possibility that you have inherited a property that you have no desire to keep. Some New Orleans homeowners come to us because they are facing impending bankruptcy or foreclosure. All of the above reasons represent just a few examples of what we have encountered. Whether you are in dire financial straits, need to move quickly, or just want to get rid of a house you no longer want or need, Dependable Homebuyers can help. When someone wants to sell their home for a fair CASH offer, with nothing further asked of them, we are the ones they contact. 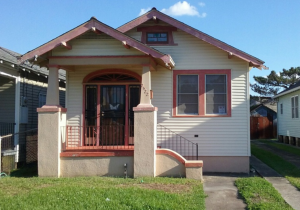 It is worth mentioning again that our experience in buying homes across New Orleans is considerable. 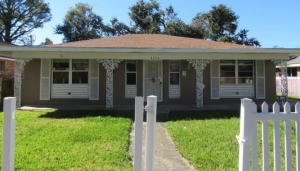 We have bought homes that were in stellar condition. On the other side of that, keep in mind that we have also bought homes with serious damage. Homes like these are generally not very successful on the traditional real estate market. More often than not, considerable repairs will be called for. The home will also need to pass inspection, so even the absolute minimum to cover that can wind up costing you thousands of dollars. If you are selling your home because an immense financial need, repair costs can dramatically lower your ROI (return on investment). It is entirely possible to wind up losing money on something like selling a home. We aren’t going to demand anything of you. We aren’t going to make you responsible for any of the repairs. All we want to do is make you a CASH offer as quickly as possible, and then get you the money as quickly as possible. Of course, this is all contingent upon you accepting the offer to begin with. We’re available to talk about your property at any time! Give us a call at (855) 741-4848 today. Whether you own multiple properties, and want to offload one quickly, or if you own just one property which nonetheless needs to move in the near future, Dependable Homebuyers is ready to assist you. Selling a home can be expensive and challenging. Some people simply don’t have the time that such an endeavor usually demands. We have built our reputation on being extremely empathetic to this fact. We have also built a reputation on not only transparency, but on making sure you get the most amount of money possible for your home. Again, we will not ask you to make any repairs. We will not ask you to do anything, once contact has been established. We will do our own independent research. After a short period of time, we will come to you with an offer. You can take your time in deciding whether or not to accept the offer. You will also want to keep in mind that the money we offer you will be the total sum you will receive. We do not charge you for anything. You are not going to find hidden fees and other undesirables eating into your ROI. We make a direct CASH offer. You decide whether or not to accept it. We have honed our process for years. The end result is the most straightforward opportunity to sell your property that you have ever come across. When we say we buy homes directly, we aren’t kidding. If you choose to agree to our offer, we can promise you direct payment within seven days. More often than not, we can achieve this in less than seven days. The CASH will be placed directly into your bank account. There is nothing else that you need to keep in mind. There is nothing further that you will need to think about. Once we have paid you for the home, you can move on with your life. What we are not interested in is a long, drawn-out negotiation process. We are not going to force you to show your home to potential buyers. No one is going to ask you to pay for an inspection or appraisal. We take the home, which means we are responsible for everything to do with the property. You are no longer responsible for a single thing. 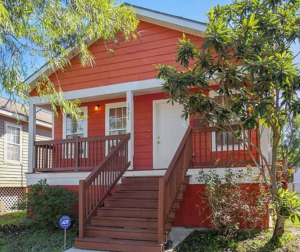 New Orleans is home to so many different types of properties. We have purchased every type of home you can imagine. 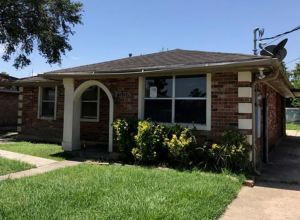 We love the opportunity to connect with and purchase these homes. While we are not realtors, we do appreciate the beauty of a home. That can also be translated as appreciating the opportunity to make a home beautiful again. 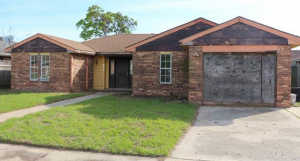 We simply see a property in poor condition as a challenge. The only thing that comes close to our experience in buying houses in New Orleans is our experience with remodeling them. Our philosophy regarding worn-down/damaged homes is simple. Virtually any property can be resurrected from such a state. Even if you have serious issues with your roof, or perhaps even your foundation, we are going to be interested in what you have to offer. Our independent research will be conducted without ever having to inspect your home. We want this process to move as smoothly as possible. We purchase homes in volume, so it is in our best interest to make sure everything goes quickly. From the moment you contact us, to the moment you receive your money, we are talking about a process that can be completed in just a few days. We won’t drown you in paperwork or give you anything that might qualify as a surprise. What we will do is pay CASH for your home in any imaginable condition. Even if we are talking about a situation in which a large portion of the roof has collapsed, understand that we are still going to be interested. Even if you still owe money on your home, we can help. In fact, even if you are just beginning bankruptcy/foreclosure proceedings, we can still help. Obviously, in situations such as those, time will obviously be crucial. Nonetheless, believe us when we tell you that when we promise to buy a home in any condition, we really mean it. The only thing we ever pay attention to is the fair market value of the property. More often than not, you are going to receive the offer from us within twenty-four hours. The “seven days or less” promise kicks in as soon as you accept the offer. While we will strive to get you the money much sooner than that, keep in mind that seven days is the limit. As we mentioned before, we have worked tirelessly to make this process as straightforward as possible for everyone involved. We are not a bank, or any other type of lending institution. We do not work with investors. Our reasons for buying homes throughout New Orleans and beyond are entirely our own. When you contact us, we will be only too happy to discuss all of this with you in greater detail. At the end of the day, selling your home should not be a minefield of potential disaster. You shouldn’t have to subject yourself to the whims of New Orleans real estate, if you don’t really want to. Regardless of why you need to sell a home, we can promise you a process that will be quick and discreet. Our method is considerably easier than the traditional real estate market. The same could also be said for trying to sell the home on your own. That is not a move we would advise. Dependable Homebuyers is interested in making things as simple for you as possible. We won’t ask you to sacrifice anything in the way of time or even money.